How to setup the program as a service? The Mac is not completelly started at this point. In particular: none of the Apps are started. Instead, only background services are started. If you rely in your surveilance needs on Apps - none of the AppStore apps and none of the regular Video Serveillance apps will be started at this point, so the video will not be recorded. 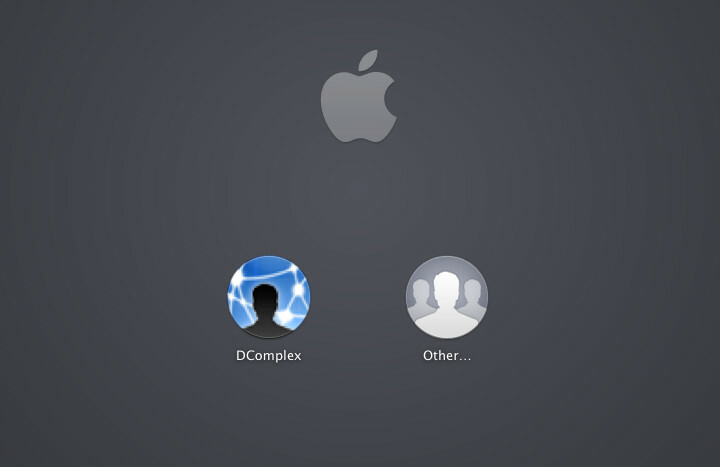 Try your surveillance app: reboot your Mac to see the above screen but do not login just yet. Then later login and check if your App recorded video at the time when the screen was shown. What you need is a surveillance solution that contains not only an App, but a background service program as well. This is exactly what IP Camera Recorder is: a group of programs that includes an App for viewing video and a background service program that auto-starts when Mac starts, even if the user has not logged in.